Wiggleworms, The Old Town School of Folk Music's excellent classes for littles, are a household name. Laura Doherty is the face behind the classes, OTSFM's Wiggleworms Director. She also sings and plays not only guitar, but also mandolin and ukulele! 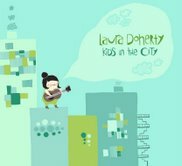 Laura Doherty is a local treasure whose award winning CD, Kids in the City, is a sweet celebration of the simple joys of city living. We all know raising city kids rocks, and one of the best things about Chicago, for the swing set set is the abundance of great live family shows. Check out her site for sample tracks, ordering info, and a schedule of her upcoming gigs through April. We thoroughly enjoyed Kids in the City. This 14 track, kids eye view of the best of Chicago, will have your city kids grinning in happy recognition and singing along. El train is a particular favorite of ours, as it's such a joyful, place specific ode to rail travel. We also love the way Laura Doherty evokes the sights, sounds and feel of favorite city places like the farmer's market and the zoo. Sweet Home Chicago indeed. Kids in the City will make you relish the fact you're raising littles in the windy city, or make you wish you were. "Kids in the City" was rated one of the Top 10 children's CDs of the year by Time Out NY Kids, Dec. 2009. "Kids in the City" is a GOLD winner of the 2009 NAPPA awards, presented by National Parenting Publications!! "Kids in the City" is a GOLD winner of the 2009 Parent's Choice Award! You can check out her folky fun early childhood tunes at Schubas this Sunday at 11:00am. Rumor is she has some goofy hot dog hats to give away, to go with her Chicago hot dog song! Even better, she'll be performing a full Valentine's Family Show for the knee high loves of your life. She'll be performing with a full band and have a special guest appearance by Reggio the Hoofer, one of Chicago's renowned tap dancers! http://www.schubas.com/Shows/02-13-2011+Family+Series+Laura+Doherty ChiIL Mama will soon have an interview and live concert footage to share with you, but we hope you can check out the live show yourselves. **Nicole F. is ChiIL Mama's Free Ticket Tuesday winner and she's won a family 4 pack to see Laura Doherty this Sunday at 11:00am. Enter HERE every week for your chance to win free family 4 packs to all of Schubas Family Series and Beat Kitchen's Concerts for Kids! It's not too late to win your own copy of Laura Doherty's award winning Kids in the City CD! Enter HERE through midnight tonight (1/8), for your chance to win. During our special double disc February, one lucky winner will also get Mama Doni's brand new Challah Day Celebration--Shabbat Shaboom, slated for March release. Check out ChiIL Mama's review today and remember, Win A Disc Wednesday happens every week. Check back in every Wednesday for band interviews, live show videos, CD reviews and free music for YOU. Still wanna hear more about Laura Doherty and Kids in the City? Laura Doherty is a nationally touring children's recording artist and award-winning producer with an ear for a catchy melody. 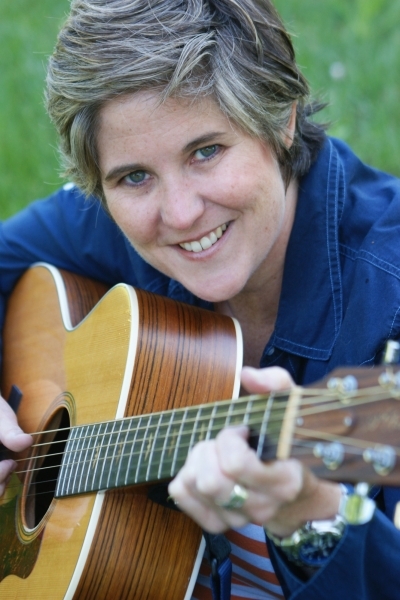 She acoustically rocks your kid’s world with her breezy folk-pop tunes for the whole family! Her award-winning CD "Kids in the City" (2009) pays tribute to her kinda town...Chicago, and has hit the XM radio airwaves and garnered great reviews in the press. Using the Windy City as her inspiration, Doherty writes about the El Train, skyscrapers, the Farmer’s Market, the zoo, and all the wonders of the city, as seen through a child’s eyes. Doherty has recorded on several children’s CDs, including: Parent’s Choice award-winning “Songs for Wiggleworms” released in 1999. In 2005 she co-produced and performed on the follow-up CD “Wiggleworms Love You”, also a Parent’s Choice Award winner, both released on Bloodshot Records. In 2008, Doherty performed vocals on several songs written by nationally- known kids artist Ralph Covert (of Ralph’s World), for Disney Sound. Laura found a comfy place in the acoustic-folk world early on, picking up the guitar at age 16. Originally from Westchester, NY, Laura came to Chicago after college and soon discovered the Old Town School of Folk Music, where folk legends like Roger McGuinn and John Prine honed their guitar styles. For over a decade, Laura was the the director and teacher in Old Town School’s Wiggleworms program. In 2009 she took a daring leap and decided to go full-time with kids music, showing an intense passion for bringing joy in the world via sweet folk-inspired songs. Laura is no stranger to catchy, melodic songwriting for the folk-pop listener too. She previously released 3 recordings (one solo and two with her local Chicago band Sweet Hello). The inspiration for her first children’s song came while riding the El train. The words came easily and by the time she got downtown, her first kid’s song “El Train” was born! We'll leave you with a fun, animated music video of Hello Hippopotamus. Hope to see you Sunday! Monster Jam Opening Night This Friday!